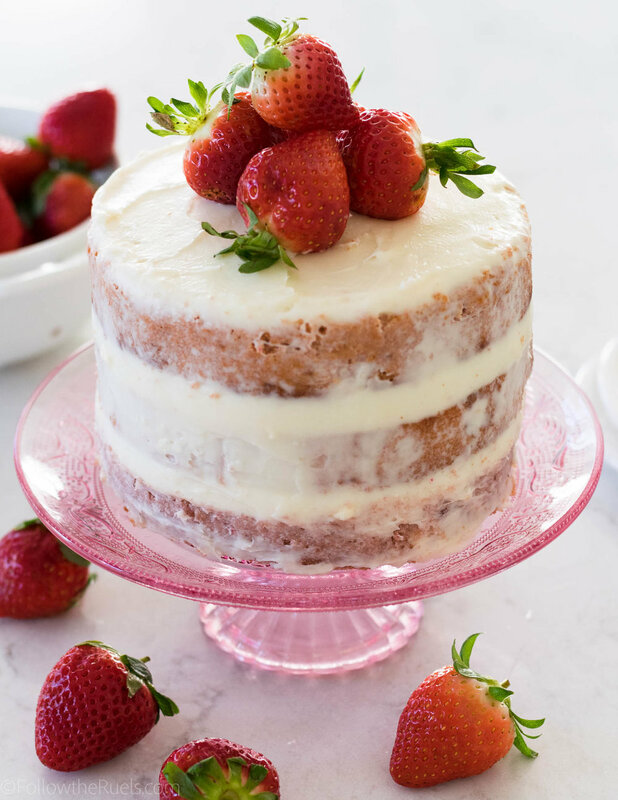 If you are in charge of dessert for your Easter brunch and you 1) want to wow your friends and family with a gorgeous dessert centerpiece, and 2) want to do as little work possible, then this cake tutorial is for you! This cake requires neither tons of time or lots of skill to make, and isn’t it pretty?! This cute Easter egg wreath cake was made in under 30 minutes and required no baking, layering, frosting, chilling, etc. I bought the cake already baked and frosted!! Yes! I ashamed and proud at the same time that I didn’t lift a finger to bake this cake. I walked into my local grocery store and asked them for an undecorated cake. Then I bought a bunch of fun Easter egg candies and a tub of store-bought frosting (which I am usually not an advocate for, but I wanted to emphasize that this could be made without doing any baking, including making frosting), and decorated this adorable Easter Egg wreath cake. Since there is no baking required for this cake tutorial, lets skip right on ahead to the supplies you will need to make this cake. First, get yourself a cake. Sure, you can make your own. 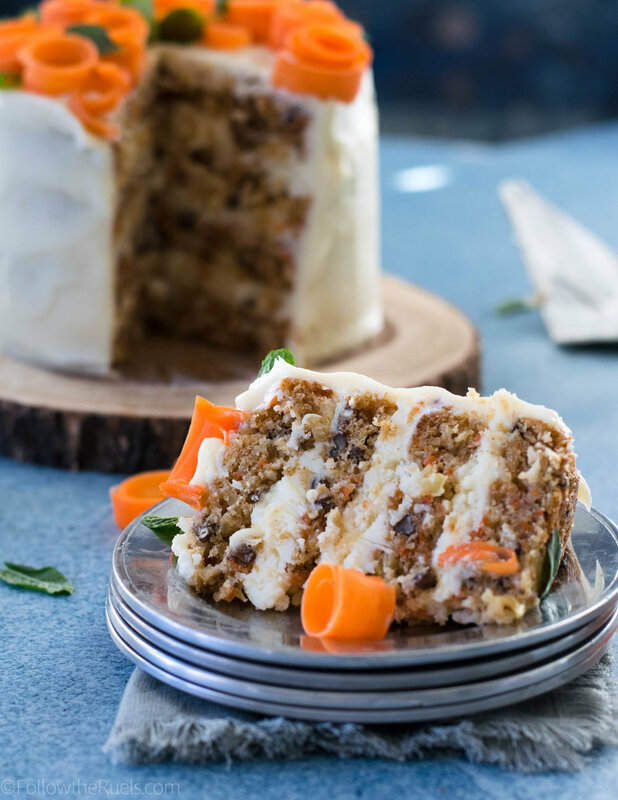 I will share some of my favorite cake recipes below. But if you don’t have the time or energy to make your own cake, GO BUY ONE! 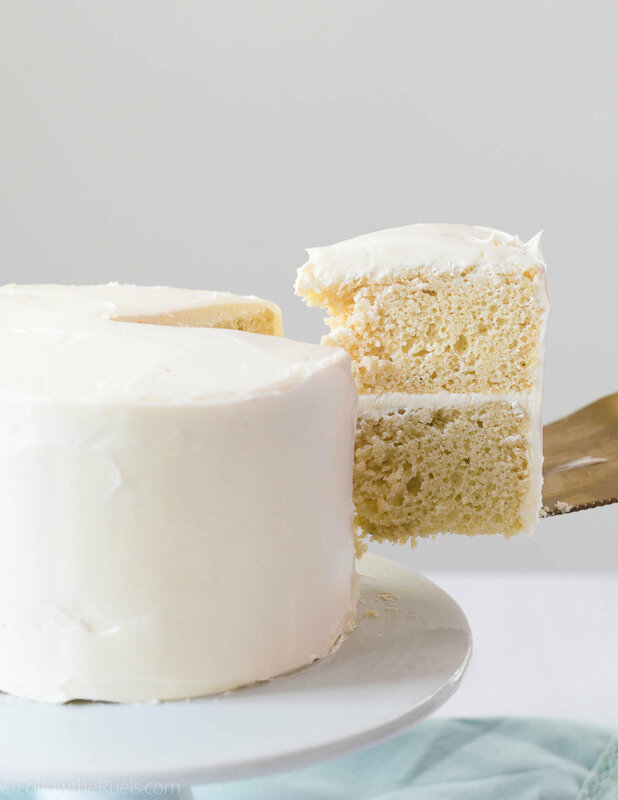 If you need to, call your grocery store in advance and just ask them to set aside a cake before they decorate it (you will want it frosted, but not decorated). Finally, pick up a little canister of frosting (or if you can spare 10 minutes, make your own). You won’t need very much so I won’t blame you if you decide to skip the added frosting elements entirely. If you do use the frosting, you will want some green and brown food coloring and 2 piping or zip-top bags to use with it. 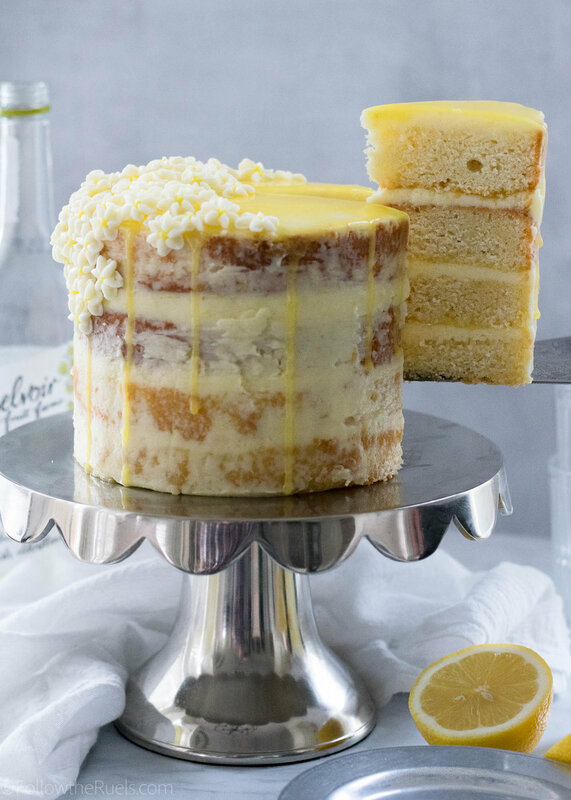 I know I say this all the time, but this cake literally could not be easier to make! First, mark out a circle on the top of your cake. Because I was working with a small, 6” round cake, I used a large cookie cutter to mark my circle. You could use a bowl, plate, etc. Anything to give you a general guide to place your candies. Next, pipe some brown frosting in a circle. If you want your wreath base to be a bit bulkier, you can pipe on some additional “twigs” to create more dimension. Now it’s time to layer on those Easter egg candies. I did mine in a rainbow color scheme, but you can place your various Easter egg candies however you like. If you do choose to go the rainbow route, I recommend sorting your eggs by color first which will make it easier to block out the space for each color. Finally, add in some extra details with green-tinted frosting. I used a large leaf tip to create the leaves sticking out from the eggs. No piping tip? No problem! Just cut a small triangle in the tip of your bag (see demo here). That’s it! You’re plain grocery store cake is now a beautiful Easter egg wreath cake! If you recreate this cake for Easter, I would love to see it! Please tag me on Instagram (@lindsey.ruel) or even just email me a photo! I can’t wait to see how you make it your own!